The affinity between women and wolves. The concept of the wild woman accompanied by a wolf. There’s a certain kind of woman who fights for her wildness, a feminine freedom. Probably the first to connect the two was Clarissa Pinkola Estes in her book, Women Who Run With the Wolves. Why do many of us identify with wolves (specifically, she-wolves)? Wolves are non-violent, with an aversion to aggression, fighting, and violence. 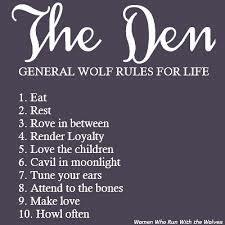 They’re devoted to and serve the pack and each other. They bond strongly to certain individuals. However, they can be aggressive when threatened. Wolves need no explanation. They just are. Interestingly, both independence and dependence. Dependence on family and trusted friends (the “pack”). Yes, I think I get it. Strength and independence.